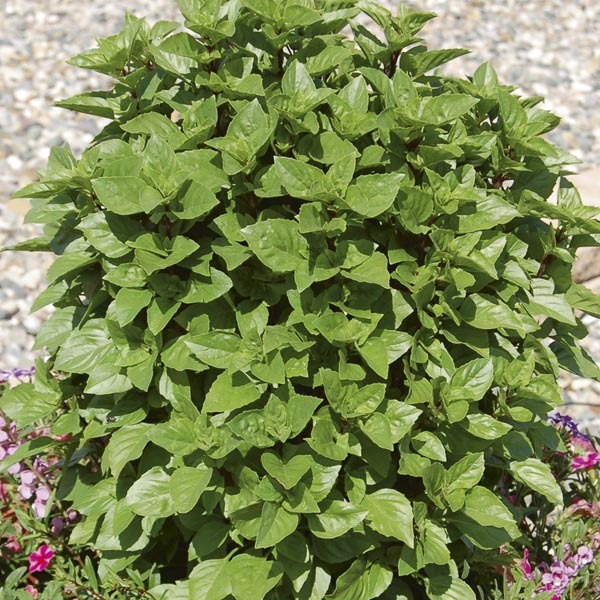 This delightful Basil has an upright, columnar habit that allows more plants to be packed into smaller spaces. The plant typically does not flower, which means its flavor-packed leaves are produced over a longer season. Use the leaves to flavor a variety of culinary dishes or herb oils and vinegars. 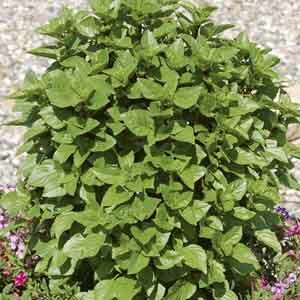 Greek Columnar Basil is great for growing in pots on decks and patios, or for mixing throughout beds and herb gardens. Culinary herb for gardens and containers. Excellent for adding flavor to soups, sauces, fish and meat dishes. Use leaves fresh, or dry and keep in an airtight container. Wash fruits, vegetables and herbs thoroughly before eating. Very easy to grow in virtually any location. Does best in light, well-drained soil. Keep soil moist, watering freely in dry weather. Harvest foliage as needed.